You may know e.E. Charlton-Trujillo as an indie filmmaker (see AT-RISK SUMMER). You may know her as an activist who empowers kids through the nonprofit organization Never Counted Out. You may know her as the author of three published novels including the Stonewall Award-winning FAT ANGIE. Indeed, she is all of those things and more, including author of WHEN WE WAS FIERCE, a novel that will release from Candlewick in fall 2016—and now, author of a FAT ANGIE sequel, which was just signed by her Candlewick editor Joan Powers! When last we left Fat Angie, she had found her self-confidence in the love of the gorgeous and damaged KC Romance. The sequel picks up after KC has relocated to Dallas and Angie is left to figure out how to live here, now, and finally for herself. When she and a group of norms and misfits hit the road for an overnight escape in a 1980s Jamboree motor home, it soon becomes a full-fledged BREAKFAST CLUB on wheels, and Angie and her friends could all find the answers they're seeking. Four new releases from EMLA! EMLA is celebrating four incredible releases this week! 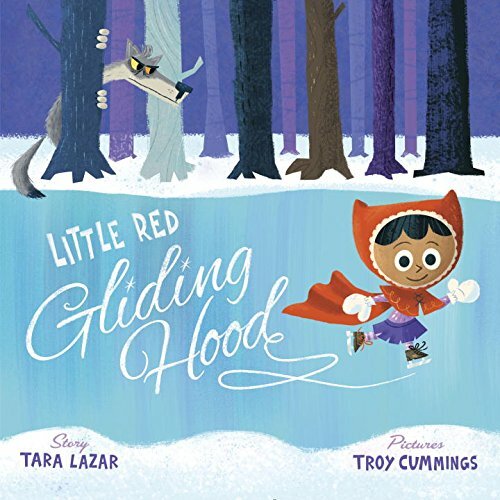 A BEAR'S YEAR by Kathy Duval, FROSTED KISSES by Heather Hepler, LITTLE RED GLIDING HOOD by Tara Lazar, and THE LIGHTNING QUEEN by Laura Resau are all out in the world now - please help us congratulate Kathy, Heather, Tara, and Laura! Valentine Cat gets a star! 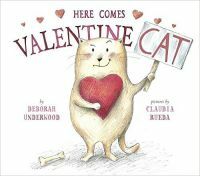 We're celebrating a starred review for Cat - Publishers Weekly loved HERE COMES VALENTINE CAT by Deborah Underwood! "Wickedly fun as ever—Underwood and Rueda clearly know how well sweet and salty go together." Congratulations, Deborah! 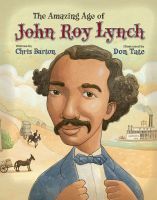 THE AMAZING AGE OF JOHN ROY LYNCH by Chris Barton on the Texas Bluebonnet Award Master List! We're absolutely thrilled about the inclusion of THE AMAZING AGE OF JOHN ROY LYNCH by Chris Barton on the Texas Bluebonnet Award Master List! Huge congratulations, Chris! 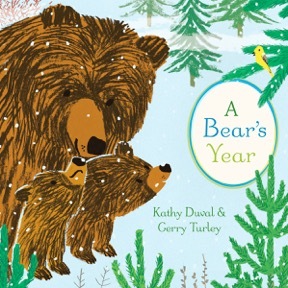 HOW TO SHARE WITH A BEAR is available today! 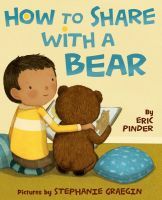 Eric Pinder's HOW TO SHARE A BEAR hits bookshelves today - please help us welcome this adorable and incredible book into the world! Congratulations, Eric! Anna Staniszewski’s CRUISING to a new deal! 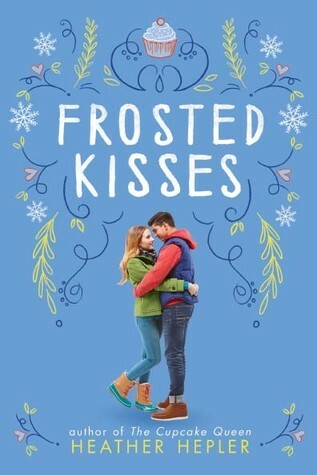 Readers far and wide have fallen in love with Anna Staniszewski's tween characters—THE DIRT DIARY series has been rocking the shelves, with its most recent third installment, THE GOSSIP FILE, pubbing this year; as well as her newest series SWITCHED AT FIRST KISS: I'M WITH CUPID! launching this summer. Today I'm delighted to announce an entirely new book deal—taking Anna's trademark adorably quirky tween characters out to sea . . . literally! ONCE UPON A CRUISE tells the story of twelve-year-old Aislynn, who gets a job aboard a Fairy Tale cruise ship, but quickly finds that her magical vacation is turning into a titanic mess. Can she pull things together in time to save the day? ONCE UPON A CRUISE has sold to Erin Black at Scholastic, and I have a feeling this isn't the last we're going to be seeing of Aislynn and her friends! Stay turned for a fall 2016 sail date. Pat Zietlow Miller Will Help You Be BRAVE! So. 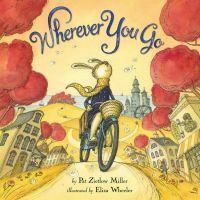 Both you and the youngsters in your life have read and loved-to-bits Pat Zietlow Miller's epic debut picture book, SOPHIE'S SQUASH. You've swooned over her gorgeous modern classic, WHEREVER YOU GO. And her newest release, SHARING THE BREAD (just out last month!) already has prize of place on your Best Loved shelf. What dreams does a picture book lover have yet to dream? SOPHIE'S SQUASH and WHEREVER YOU GO author Pat Zietlow Miller and illustrator of WHEREVER YOU GO and the bestselling MISS MAPLE'S SEEDS Eliza Wheeler's BRAVE, a celebration of the many steps that lead to courage, in things both great and small, to Leslie Shumate at Little Brown Books for Young Readers for publication in Spring 2019, by Ammi-Joan Paquette at Erin Murphy Literary Agency for the author and Jennifer Rofé at Andrea Brown Literary Agency for the illustrator (World). Now, I realize I'm asking for a lot of patience, because—yes, the release date release is (gasp) nearly four years away. But need I say that it will be worth waiting for? I do not. Mark your calendars accordingly. Hooray and huge congrats, Pat! 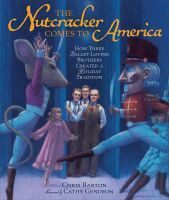 School Library Journal gave THE NUTCRACKER COMES TO AMERICA its third starred review! 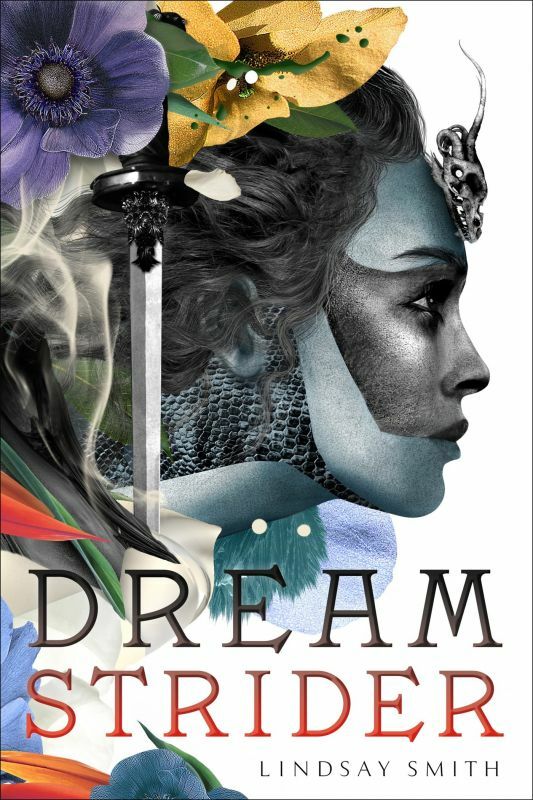 "A terrific choice for fans of The Nutcracker and all things ballet." Congratulations, Chris Barton! Lynda's third book, still untitled, is underway and scheduled to release in 2017—and I'm happy to say that her fourth and fifth books are now on the calendar for 2018 and 2019, so Lynda's fans will have a steady stream of her patented heart-rending, heart-warming stories of everyday kids facing difficult situations with resilience. 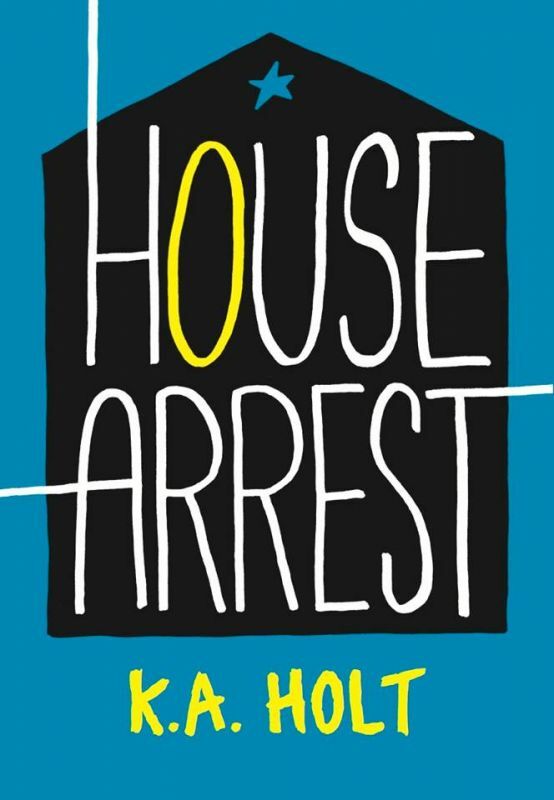 2018 will see the release of OUT OF ORDER, Lynda's first YA novel, and 2019 will bring a historical novel-in-verse. And of course, the wonderful Nancy Paulsen of Nancy Paulsen Books will edit them all. We're celebrating three incredible EMLA releases this week! 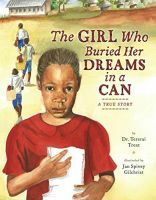 THE GIRL WHO BURIED HER DREAMS IN A CAN written by Dr. Tererai Trent and illustrated by Jan Spivey Gilchrist, DREAMSTRIDER by Lindsay Smith, and HOUSE ARREST by K.A. Holt are available now. Please join us in celebrating these new releases! BOOK SCAVENGER—The Series!—Is Taking Off! If you haven't yet discovered the joys of BOOK SCAVENGER, you're in for a treat! The book by Jennifer Chambliss Bertman is packed with mystery, danger, suspense, puzzles, and of course . . . lots and lots of books. Published this spring by Christy Ottaviano Books, BOOK SCAVENGER has quickly garnered a rush of enthusiastic readers.—Including many folks who have flocked to the website, www.bookscavenger.com, to hide and search for copies of the book in their own area. Things have been going so well that a sequel is planned for release next year. But is that enough BOOK SCAVENGER? No! There can never be enough BOOK SCAVENGER! I'm delighted to announce today the signing up of the still-untitled Book #3 in the series, again by Christy Ottaviano Books, featuring even more mystery and mayhem, puzzles and (book) pages to flip. That's all the details I can share for the moment, but trust me, this one's going to be worth looking out for.